If you are also in need of gutter cleaning, This is how we do it. We hand pick all the debris and bag it, never leaving a mess in your yard. We then flush your gutters with a hose making sure the gutters are cleaned on the inside, and you downspouts are not clogged, flowing like they are brand new! Gutter cleaning is extreemly important, and will help ensure rain water doesn't damage your home, and end up in your basement. 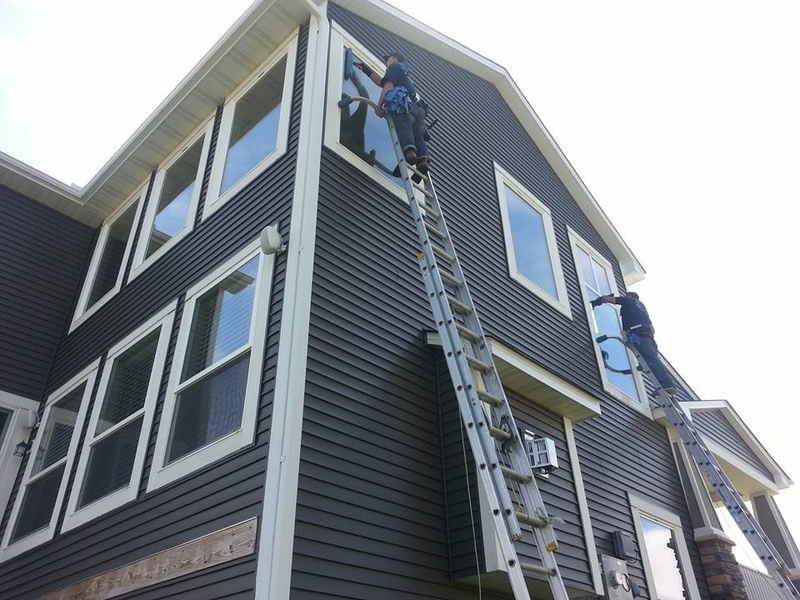 When we pressure wash, we are the pros at cleaning up your siding, decks, walkways, driveways, and more! We also take care when we use pressure washers on your home. You will be surprised how good we can make your exterior look by cleaning it up! To get a rough idea of the cost involved please check out or pricing page or contact us for a free estimate.